As if Uber wasn’t already having a bad enough week, the ride-hailing giant is reportedly set to lose a bevy of self-driving car engineers, as its high-stakes litigation with Google’s self-driving car project Waymo continues to play out in court. Recode is reporting that engineers are “actively looking to get out of the company” as a result of the ongoing case between Waymo and Uber. 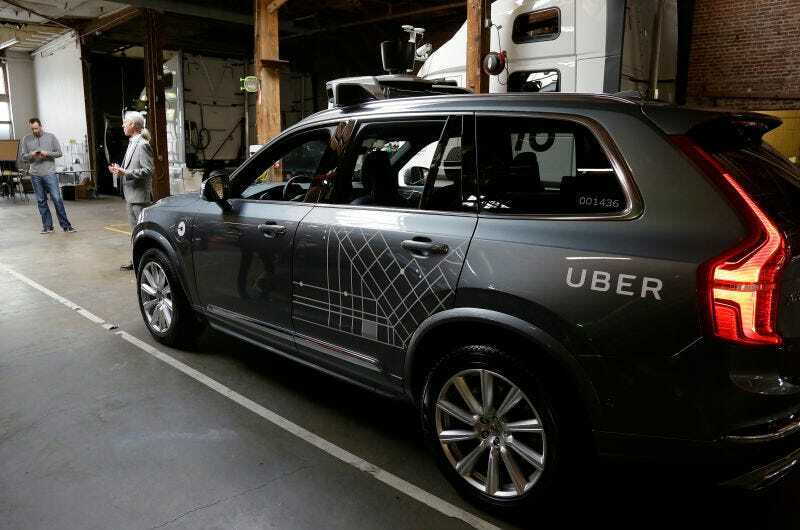 At the center of the case is Uber’s self-driving guru, Anthony Levandowski, who allegedly stole 14,000 autonomous tech files from Google while he was still employed there. Levandowski said he’ll step aside from Uber’s autonomous driving program while the case proceeds, but Recode—citing multiple anonymous sources—says Uber engineers aren’t wasting any time to seek work elsewhere. Instead of waiting for a court decision that could squash Uber’s ambitions to deploy autonomous vehicles, a number of its engineers are looking for other opportunities. Others have decided to look elsewhere if the judge grants Alphabet the injunction. Part of what’s driving these potential moves is the frustration many staffers feel from the pending lawsuit, sources say. Staffers may have to step away from the work they spent so much time developing, just as the company began putting their cars on the road. The main issue for Uber is that launching a successful self-driving program is key to the company’s future, according to Uber CEO Travis Kalanick. If the judge overseeing the Waymo dispute orders Uber’s program to stop research until the case is completed, it could spell disaster for the ride-hailing giant. But even if the judge allows Uber’s program to continue for now, the company may be left scrambling to hire new talent. Uber already has admitted its autonomous tech isn’t as good as Waymo’s. An exodus of engineers could be devastating.